The Chabad Center of Sudbury invites you to join us as we celebrate the festival of Simchat Torah. 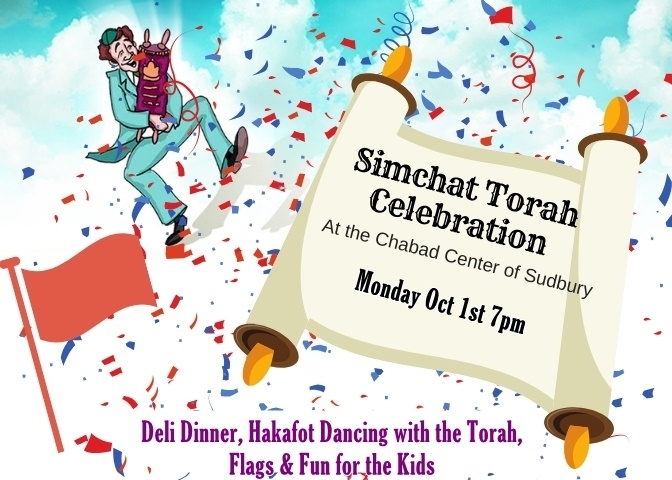 Enjoy dancing Hakafot with the Torah, an awesome Deli Dinner, Flags & Fun for the Kids and lots more joy and celebration. Consider Sponsoring or Dedicating one of the seven Hakafot for $118 and help sponsor the evening by clicking here or letting us know.